Liver fibrosis is the intermediate step to cirrhosis. Accurate assessment of liver fibrosis aids clinicians and patients to predict the prognosis and arrange further investigations to look for liver-related complications. Traditionally, liver biopsy is the gold standard test for the assessment of liver fibrosis. 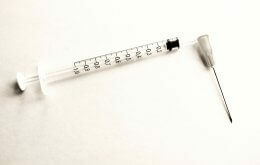 Liver biopsy involves inserting a needle through the right chest wall into the liver. A core of liver tissue that is approximately 2 cm long is obtained. Although the risk is considered small, liver biopsy may result in pain in some patients and internal bleeding in around 3 in 1,000 cases. 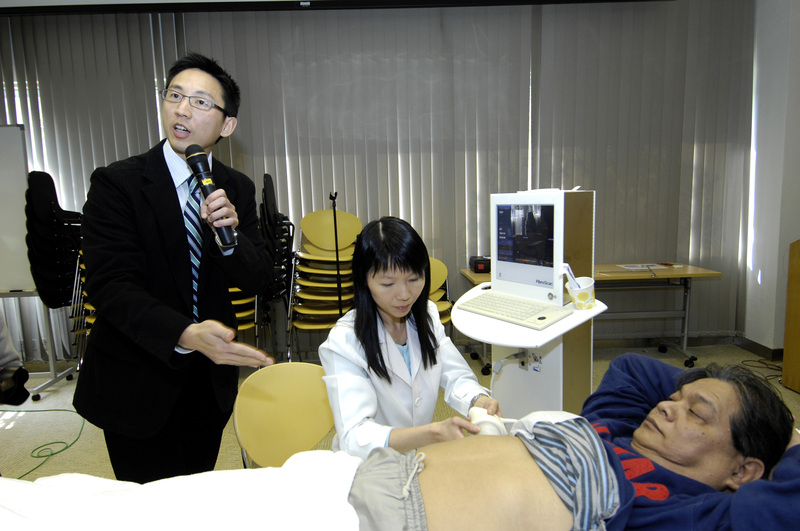 Center for Liver Health at The Chinese University of Hong Kong (CUHK) therefore introduces Fibroscan in 2007, which is a non-invasive technology to measure liver stiffness. A higher liver stiffness measurement indicates more severe liver fibrosis. This technology has been shown to be accurate in viral hepatitis, but has not been extensively tested in NAFLD. In collaboration with the University of Bordeaux in France, CUHK Center for Liver Health conducted a study in 2009 to test the accuracy of Fibroscan in NAFLD patients. 246 patients with NAFLD first underwent Fibroscan for liver fibrosis assessment. Then, all patients had liver biopsies to confirm disease severity. The accuracy of Fibroscan was assessed by comparing the results of Fibroscan and liver biopsies. According to liver biopsy results, 190 of 246 NAFLD patients had mild disease, while 56 had severe liver fibrosis. Using statistical methods, a liver stiffness of 7.9 kPa by Fibroscan was determined as the optimal cutoff value to distinguish between mild and severe liver fibrosis. Among 246 patients, 148 (60%) patients had liver stiffness below this cutoff and were considered to have mild disease. The diagnosis of mild disease was concordant with liver biopsy results in 97% of cases. These patients may be spared from liver biopsies and yet achieve a similar degree of diagnostic accuracy. This non-invasive test can reduce medical expenses and risks of complications. In the remaining 98 (40%) patients with liver stiffness above 7.9 kPa, 52% were confirmed to have severe liver fibrosis by liver biopsies. These patients require further diagnostic workup. The study confirmed the reliability and accuracy of Fibroscan in the evaluation of NAFLD. This can reduce the need for liver biopsies and save costs. 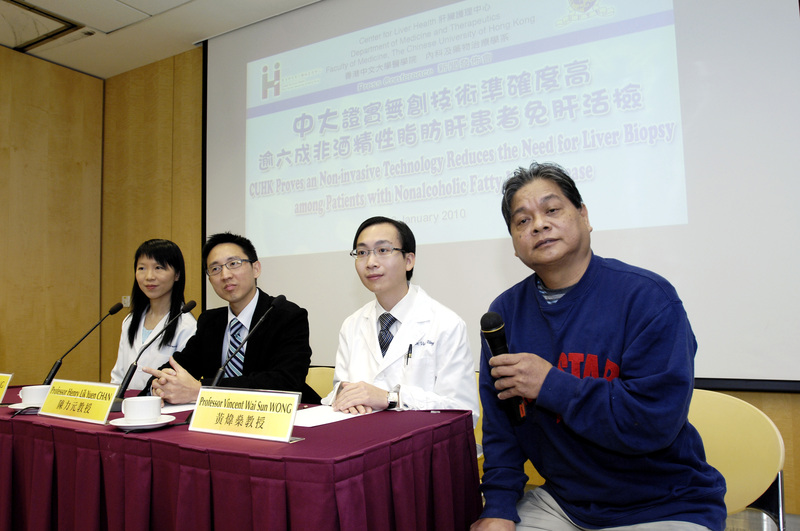 Therefore, CUHK Center for Liver Health recommends the use of Fibroscan as the screening test in NAFLD patients. Liver biopsy should be performed if the Fibroscan result is inconclusive.